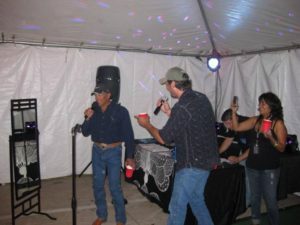 Entertainment services have been provided by Boyte Booking since 2004 to the likes of George Strait, Blake Shelton, Sugarland, as well as company’s such as Exxon, Shell Oil, and Troy Barbell. They have performed for numerous school districts in the Houston, TX and surrounding areas. The company’s and schools trust and utilize them regularly. With over 6,000 successful events under their belt, they are now branching out into the photo booth industry. James Boyte attended HCC for film making and has always had a passion for still photography. This passion has spilled over into a new company branch. Face It Photo Booths is a new branch, but is led by industry specialists with over 60 years of combined experience between the three owner/managers. Boytebooking now has two brands! Two Websites! Same Great Service! In the short time our photo booth branch has been active, our entertainment services have extended the photo booth to the Houston Livestock Show And Rodeo Chili Cook-off as well as the Rockets “Run As One” at the Toyota Center. In the past, we have provided entertainment services for every type of event imaginable. Clients often ask us, “Is this the craziest thing you have ever seen?” and our answer is always, “No, we have seen things that would make you find the fetal position and cry.”. We often get a chuckle from that one, but it’s true. We hope to build a relationship with you as a future client. Many of our clients have been with us for so long, they have become family. We DJ’d weddings for all five of one clients daughters. Another client hired us every year for her daughters birthday parties. We watched her grow from 6 years of age till she was out the door for college. Bittersweet.. Sometimes our entertainment services are just a bit more than services. ← We are now advertising with gigmasters!